SPRINGFIELD, Oh. 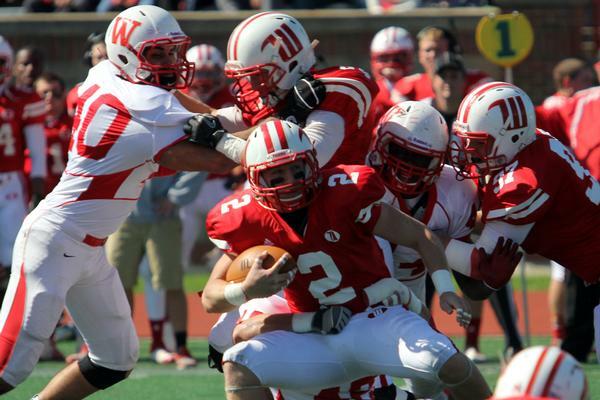 – A little muscle and grit made sure Wittenberg didn’t rally past the Little Giants here Saturday afternoon. 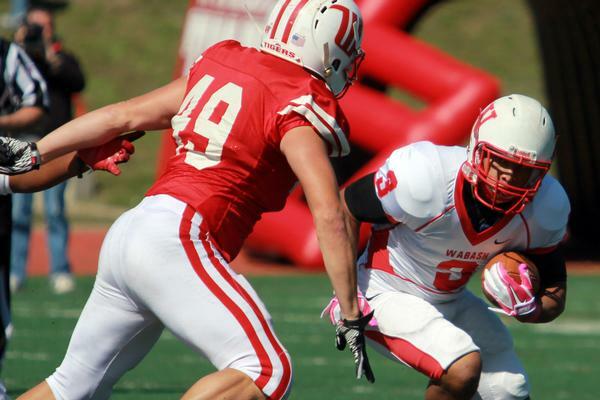 Wabash used an extended, clock-killing drive for a 27-24 NCAC win. 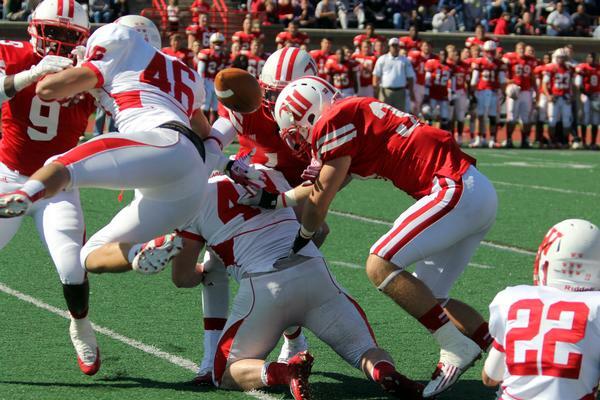 The Tigers stole second half momentum several times and seemingly were poised to do it again when Jimmy Dehnke scored from 6 yards, 27-24, with just over nine minutes to play. 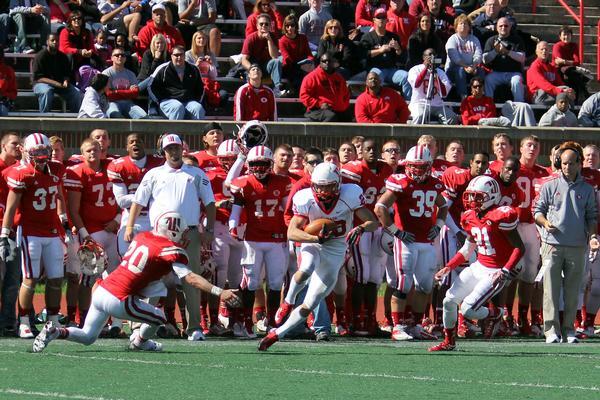 But Wabash responded with one of the more memorable drives in recent years. The Little Giants took over with 9:32 remaining. The line provided holes just big enough for 17 plays covering 48 yards. 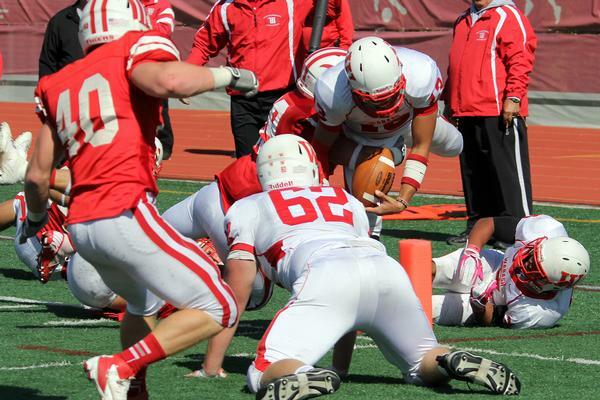 The final play of the drive was kneel down. 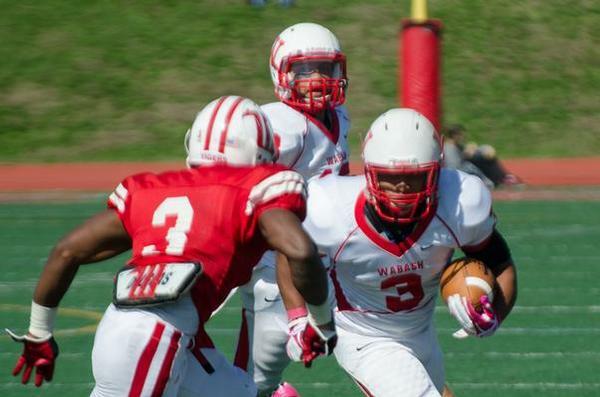 The win put Wabash right back in the middle of the NCAC conference race. 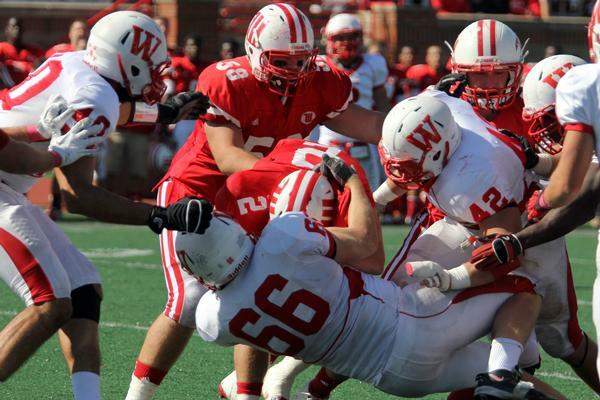 Allegheny and Ohio Wesleyan are unbeaten in league play while both Wabash and Wittenberg have one loss. 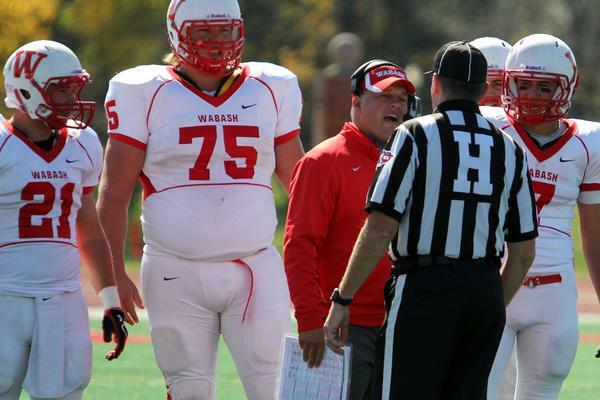 The win was significant for Coach Erik Raeburn, not just the second straight over Witt but the 100th of his career. The Little Giants got off to a dominating start with a touchdown from defensive end Charlie Kolisek, who lined up as a tight end. 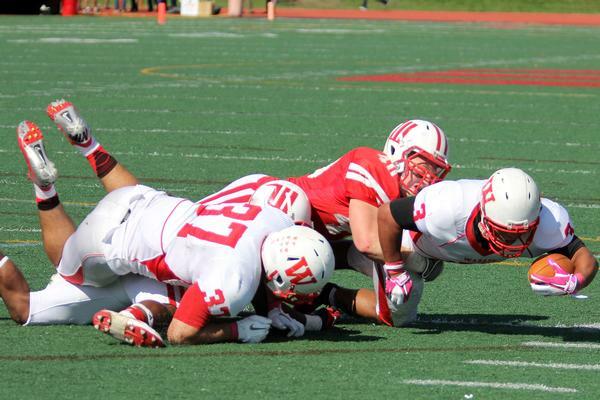 Holmes added two-yard score before Witt found the first half scoreboard with a field goal, 13-3. 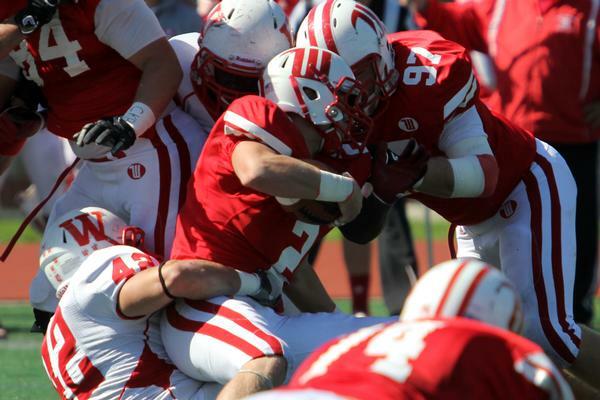 One of the game’s big moments was the opening kickoff of the second half when the Little Giants forced a fumble. 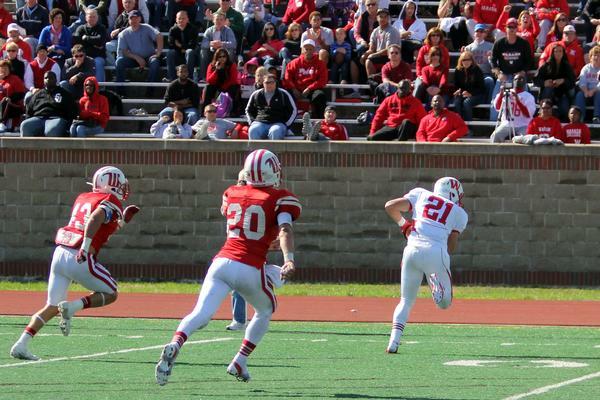 The Wabash offense wasted no time putting seven more on the board behind a Chase Belton four-yard run. 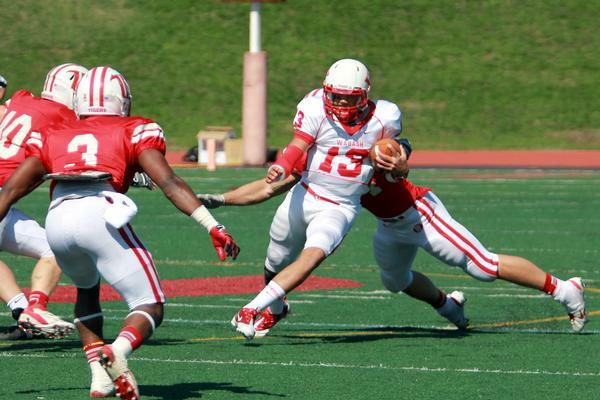 Belton had an efficient day passing hitting on 12 of 17 for 218 yards. But Witt, as these two teams always do, just wouldn’t go away. 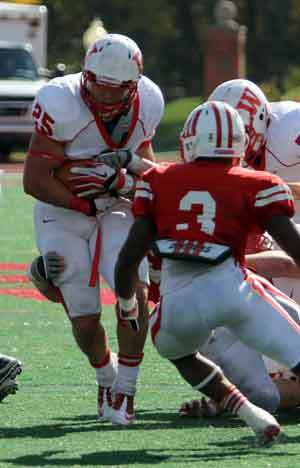 Dehnke picked up touchdown runs of nine and two yards to pull the Tigers to 20-17. 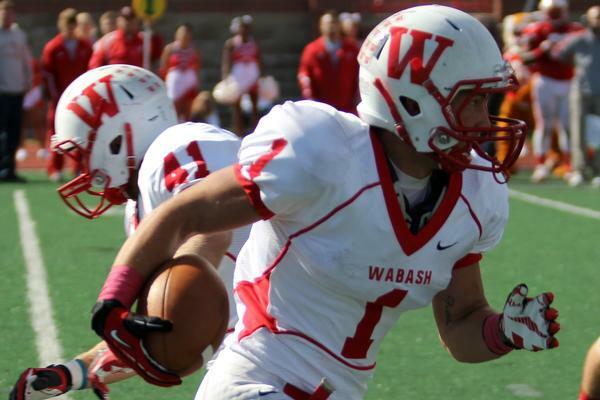 That set up Wabash for its first big gutsy response. After a swap of possessions, the Little Giants covered 86 yards in eight plays with a key component Andrew Gibson’s 30-yard catch. CP Porter ran it in it to push the margin back to ten points, 27-17. 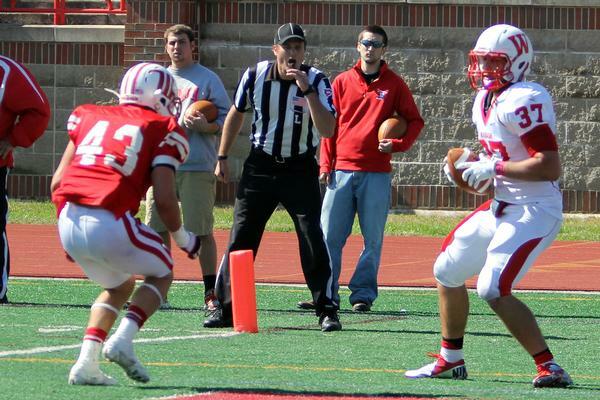 The defense held Witt but on the following punt Wabash was assessed its third personal foul of the game. 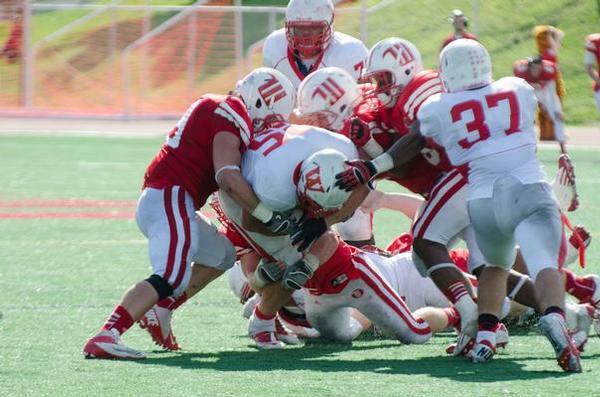 The mental breakdown was followed by a fumble on the first play of scrimmage handing the ball right back to Witt. 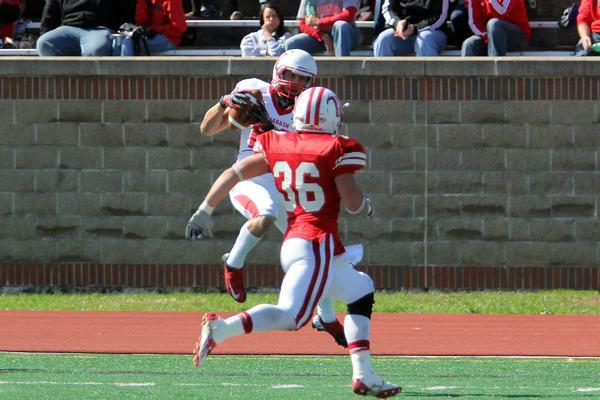 Dehnke then ran on five of the six following plays, including a six yard score, 27-24. 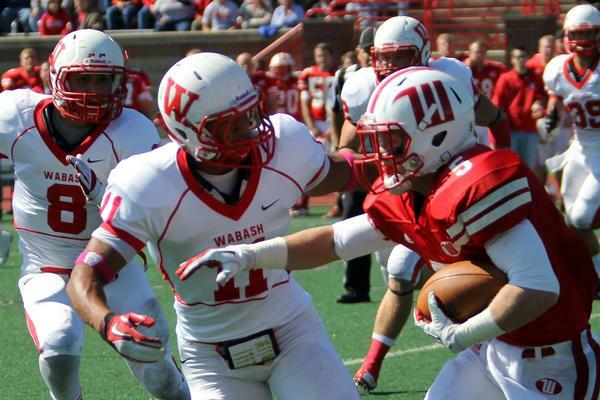 That set up the impressive run by Wabash to finish the game. 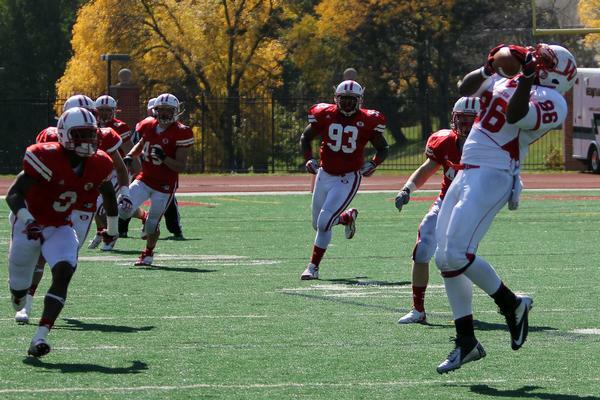 The freshman back ran 24 times for 11 yards and three scores. 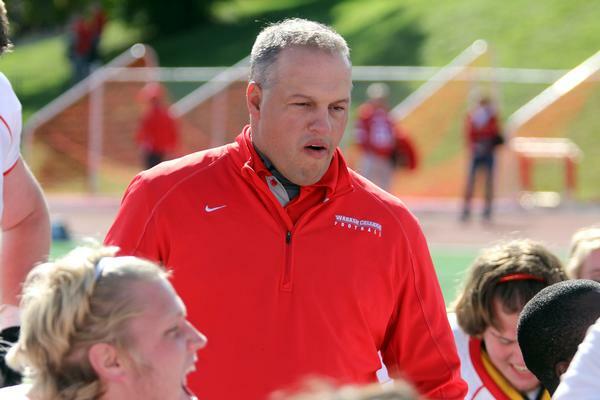 Raeburn was not happy with the mistakes and mental breakdowns but was beaming over the way his offense performed, particularly on the final drive. 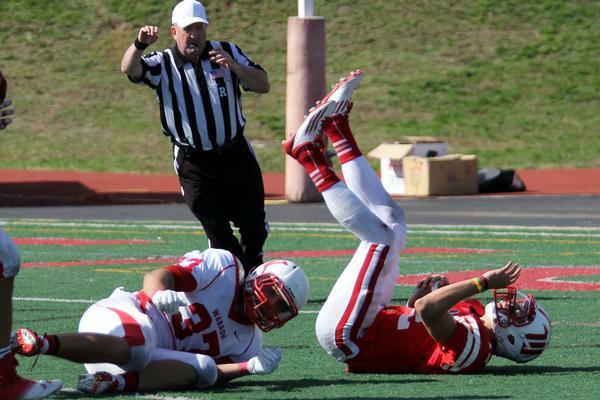 “It wasn’t perfect by any stretch,” the coach said. “We made a ton of stupid mistakes and kept giving them chances but I’m really happy with our team’s overall effort. 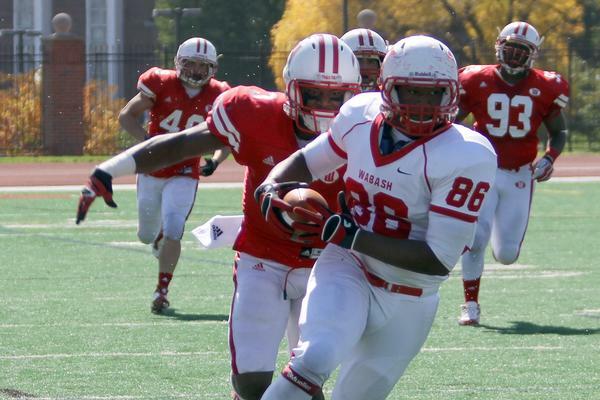 The Little Giants ran the ball 52 times for 169 yards. 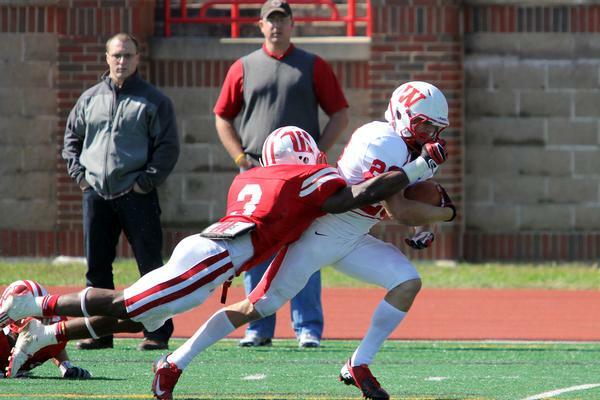 Holmes led all ball carriers with 20 carries for 76 yards. 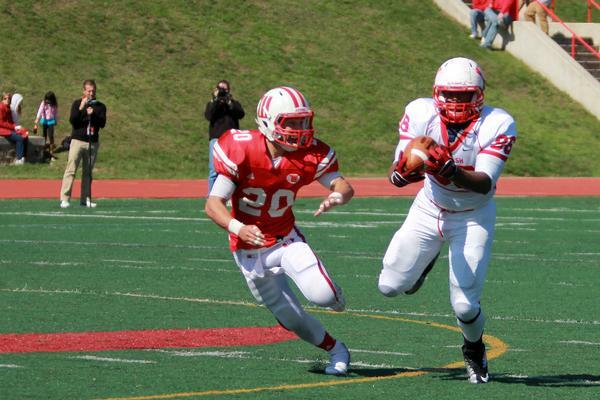 Porter had 14 carries for 47. 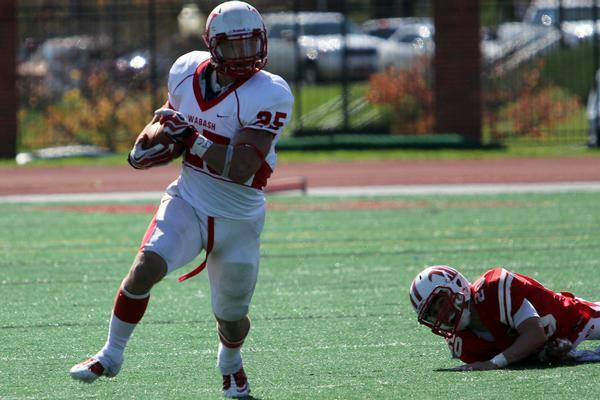 The 169 yards was key against a defense Raeburn praised as tough and physical. 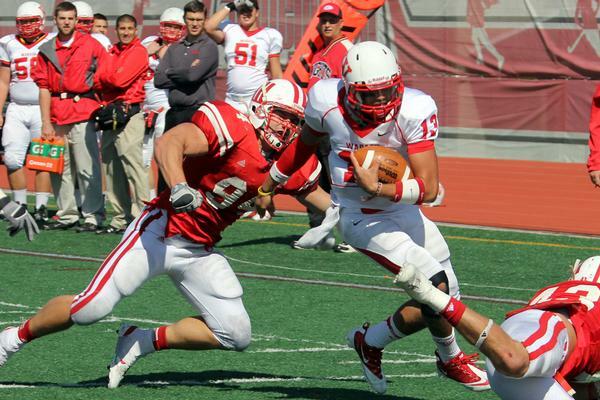 Cody Buresh led the defense with 10 tackle. 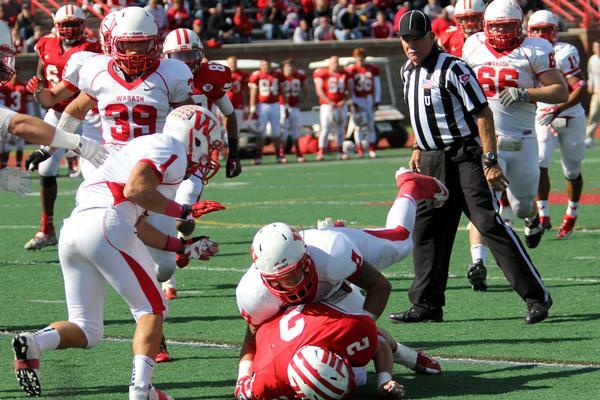 Nate Scola added nine stops and A. J. Akinribade had 8 tackles. 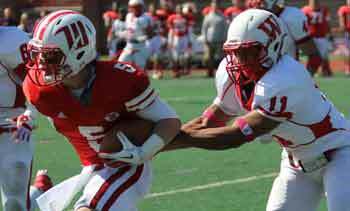 Wabash travels to Washington University next weekend.